Cheap Hazardous Waste Disposal | Are You Sure? If you think getting the cheapest price to dispose of your waste is the best option, you may have to rethink that idea! 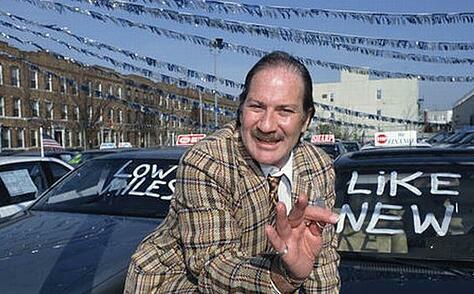 I think we can all agree that everyone wants a low price! However, getting a cheap hazardous waste disposal price is usually only a concern if everything else is equal. Waste generators ultimately want the job done right. These days there are too many liability issues that can really hurt your company, if the hazardous waste transporter does an inadequate job of disposing your waste. But isn’t every hazardous waste transporter basically the same? No, not really. 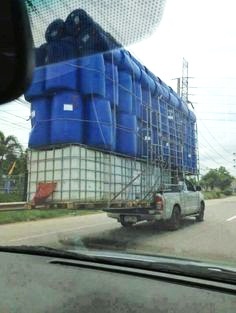 Hazardous waste transporters come in all shapes, sizes and experience levels. Integrity, dependable and responsive (IDR-yes shameless plug) are a few of the cornerstones a transporter should have. Experience, insurance coverage (including liability and auto), vehicles, trained employees, flexibility and pick-up service options are all areas that every generator should look at when choosing a hazardous waste transporter. Why? Because they impact the outcome of the relationship. The decision to choose a particular disposal company should not just be based on price. It’s about who can handle your particular problems in the most cost-effective manner. There are even transporters, or so-called transporters, out there who are brokers. These brokers typically have no brick and mortar business building, employees, insurance or investment in the disposal process. It’s all about getting the cheapest price from someone else who does the job for them, so they can make a commission and move on to the next project. Brokers try to pass themselves off as legitimate disposal businesses. However, they sub-contract the work out to an actual waste transportation company to do the work. They place a nice little commission on the bid you get and then wash their hands of the entire thing. Which disposal company are they using for your disposal? Does the company they are using have adequate insurance? Does the disposal company have the experience to handle your waste streams? Are their employees trained and certified? Do you have your own technicians and transportation vehicles to pick up the waste or do you sub-contract out the pick up? What types of insurance do you carry and what are the limits? Total insurance coverage levels should be around the $6,000,000 mark. Ask for their certificate of insurance to check if the insurance is coming from that person or if another disposal company’s name is on it. If something goes wrong, you all know who is responsible...YOU! Experience is not just about having the knowledge to deal with your particular waste streams. It’s also about knowing which disposal facility is the most cost-effective for your particular waste streams. Certain wastes, for example, only have a few options for disposal. If you are a waste generator in California and need to dispose of some flammable liquids, you can send them to Arkansas or Baja California Mexico. If your hazardous waste transporter does not know of the Baja California option, then you will end up paying considerably more for the disposal. Knowledge of the industry and the particular nuances of the TSDF facilities available, play a critical role in the bids you will receive. The cheapest price could simply mean they are going to take your waste and pour it down the drain. Who do you think will be blamed and held liable for the clean up? If the company you just hired shows up with a pickup truck and hand dolly, should you be concerned? Of course the answer is yes, but why? The waste is being taken care of, right? Certain wastes require specific methods of handling and transporting. Never mind the DOT issues related to transporting the waste over commercial roadways. Ensuring that trucks are lined properly, have certified and trained employees handling the waste, making sure the hazardous waste labels are done correctly, and that manifests are completed correctly (especially with the right handling codes) are just a few of the things generators need to be concerned about. Can the disposal company handle a daily, weekly or monthly pick up service? Do they have the trucks available to handle your schedule? Will they double check that you have labeled the hazardous waste storage containers correctly? There are any number of issues that can arise in the disposal process. Choosing an experienced hazardous waste disposal company will give you the confidence that your waste is handled properly, your liability is severely reduced and the price you receive is surprisingly good.